Microblading is currently the fastest growing service in the cosmetic tattooing industry. The procedure is performed by manually depositing pigment into the dermis with the use of a disposable hand tool and high quality pigments. 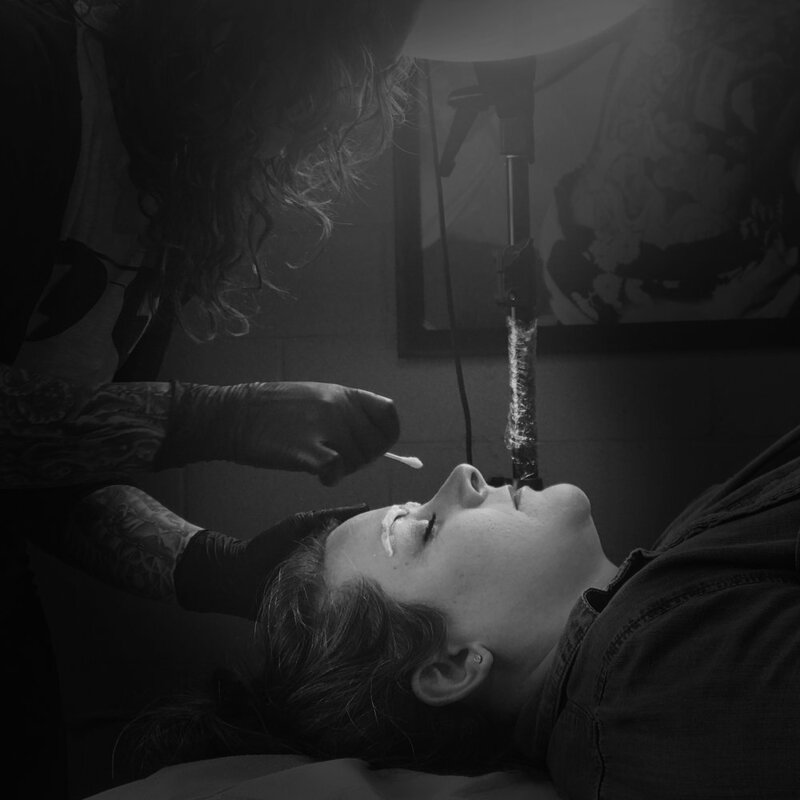 An intensive 5 DAY fundamentals intro programmed for students who have little to no experience in cosmetic tattooing. There are no prerequisites for this course! It’s been designed to give you a foundation in cosmetic tattooing, perfect for all skill levels & backgrounds. NO PREVIOUS EXPERIENCE NECESSARY, THIS CLASS IS DESIGNED FOR ANY SKILL LEVEL. YOU DO NOT NEED ANY PREVIOUS KNOWLEDGE. This course covers the foundation to Microblading a cosmetic tattooing technique. You will learn the in-depth process, technique, color theory, safe work practices, etc. (4 weeks) homework assignments prior to the class. This focusses on design, stroke pattern and basic theory in cleanliness. Student kit (500$ value) with supplies to complete 25 models at home. $5500 USD + taxes * 50% deposit required to reserve your seat! We accept credit cards & PayPal. DEPOSIT IS NON-REFUNDABLE. Deposit due to reserve your spot. The beauty of Lip blush is an advanced training program for students who already have a cosmetic tattooing background. You must have at least a year of experience to take this course. An intensive 3 DAY program for students who are interested learning the lip tattoo technique. During this class you will get familiar with using a rotary tattoo machine. This course is designed with no prior machine experience needed. You will learn the technique and tools required to preform this service, color theory, practice on live models and fake skins. $2400 + taxes * 50% deposit required to reserve your seat! We accept credit cards & PayPal. DEPOSIT IS NON-REFUNDABLE. This program is geared towards students who already have Microblading experience and are interested in moving on to machine work to do combination eyebrows or powder brows. This course can also be used as a refresher or enhancing to your current Microblade skills. An intensive 2 or 3 DAY program for students who are interested learning & perfecting their eyebrow techniques. During this class you will get familiar with using a rotary tattoo machine. This course is designed with no prior machine experience needed.